1000 Mile Long "Stone-age" Tunnel Beneath Europe? Could a Comet Be the Cause of the Great Flood? Upheaval: How Old Is the Earth and Its Species? How can water vapor explode from a comet far from the Sun? Graham Hancock Releases Description of New Book, "America Before"
Yeah, Seasmith, you're right: it's a vortex. It also looks like what I call a ring-star. Charles Chandler calls them Natural Tokamaks, formed electrically/magnetically. Here's his paper on that: http://qdl.scs-inc.us/2ndParty/Pages/5738.html . His series of papers on Electric Astrophysics is at http://qdl.scs-inc.us/?top=6031 . 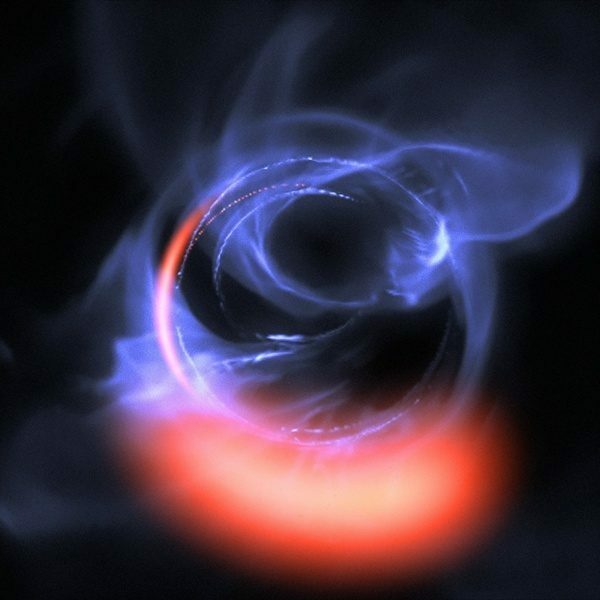 Here's a new related article at Sott.net about blackholes from my next post below. Last edited by Lloyd on Sat Nov 10, 2018 11:01 am, edited 2 times in total. Cow supernova reveals "central engine"
Did ancient people really die young? Randall Carlson Finds New Evidence of Catastrophic Global Floods! Jean de Climont sent me the following email, which links to an interesting video at the end. _There are more and more alternative theories with an aether. But most of these theories assume that aether is electromagnetic in itself, according to the very very old postulate of Maxwell. _This Maxwell’s postulate is arbitrary and is the root cause of the tremendous problems encountered by the mainstream! _Why should aether be electromagnetic? _Is the air noisy because it wears sound? The air is not noisy in itself! It is a medium! _The same should apply to aether. _Aether is not luminous: it is only a medium. It wears waves propagating at the mean quadratic speed of the particles it is made of! And these waves do have electromagnetic effects by moving electric charges in the conductors. In the same way, theses waves are produced by the motion of charges and bodies. _These waves have not any reason to be electromagnetic by themselves! What Were the Real Reasons Why We Stopped Going to the Moon? Randall Carlson's Meteorite Found In Greenland? Engineers fly first-ever plane with no moving parts powered by an "ionic wind"
Climate Etc: Is RCP8.5 an impossible scenario? Impossible Neolithic Alignment Found In UK? How do stellar binaries form? Professor at NASA admits some UFO sightings can't be "explained or denied"